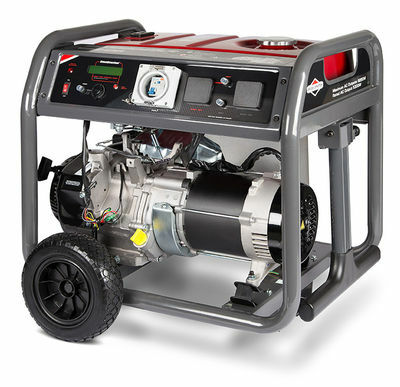 The versatile range of B & S Elite Generators are useful for farms, on a job site or anywhere you need portable power. Designed to provide a safe, reliable, sturdy solution to get power to remote locations they are ideal for a range of applications. The versatile range of B & S Elite Gererators are useful for farms, on a job site or anywhere you need portable power. Designed to provide a safe, reliable, sturdy solution to get power to remote locations they are ideal for a range of applications. 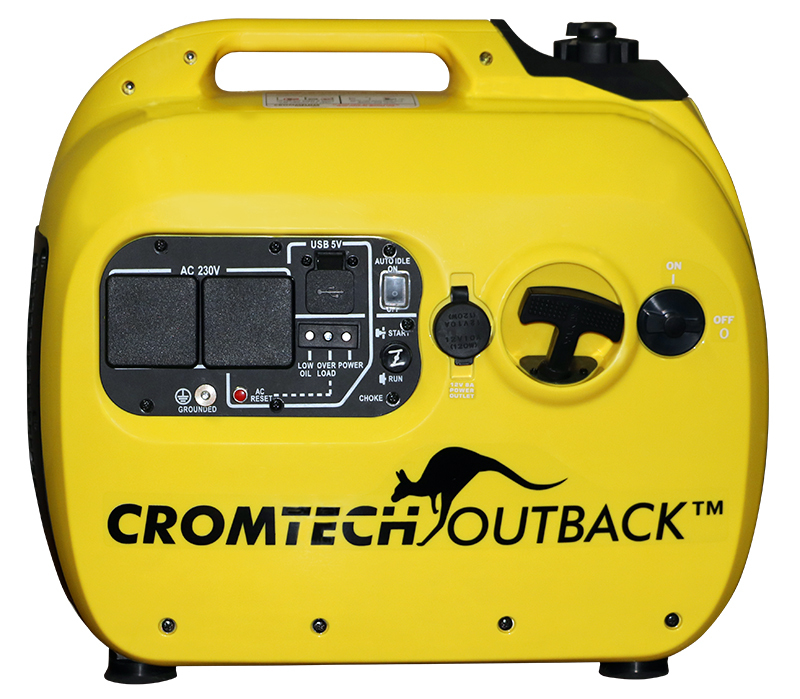 Introducing the new 2.4kVA Cromtech Outback portable inverter petrol generator, a super quiet compact unit ideal for camping, caravanning and home use. 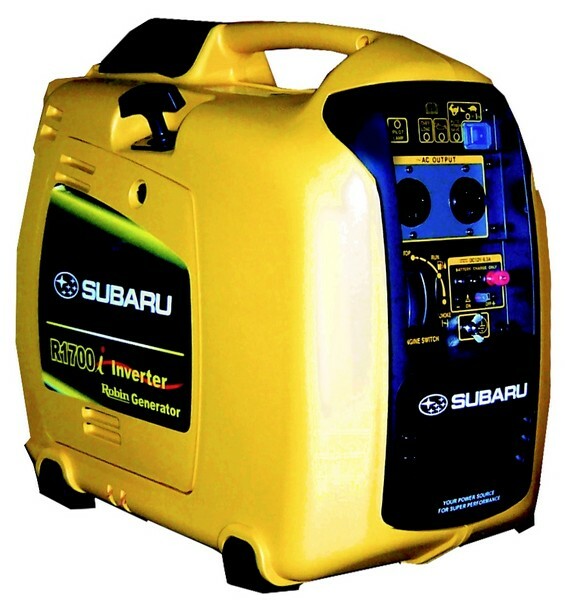 1.65KVZ Subaru Portable Silent Generator is a super silenced inverter generator. 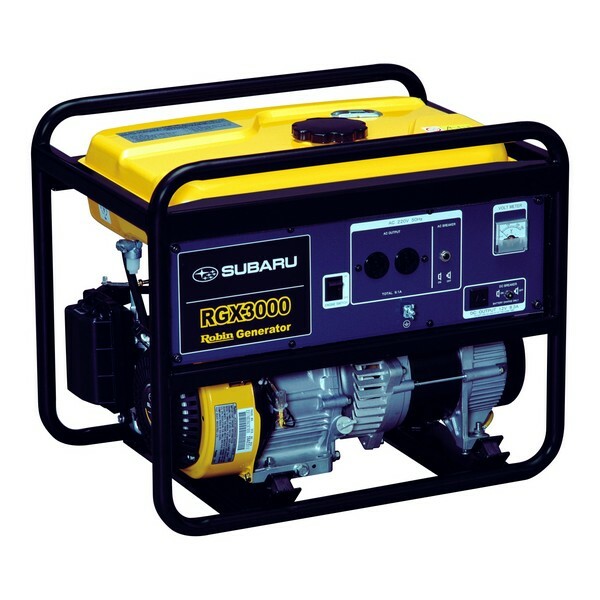 This Japanese made portable power pack will ensure trouble free holidaying, camping, caravaning, boating and 4wdriving. 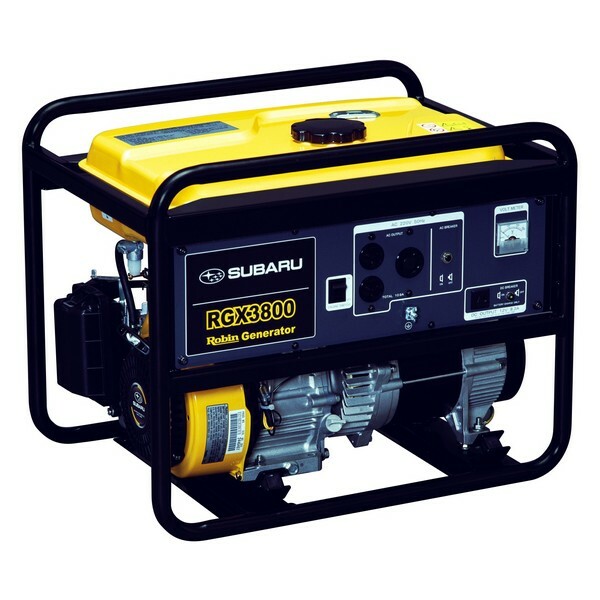 The RGX3000 Petrol generator features AVR(Automotive Volt Regulation) to help prevent fluctuating power and create stable voltage for use in the hire, agricultural, building, construction and mining industries. Standard features include long range fuel tank, low oil warning and Battery charging in a heavy duty steel frame. The RGX3800 Petrol generator features AVR(Automotive Volt Regulation) to help prevent fluctuating power and create stable voltage for use in the hire, agricultural, building, construction and mining industries. 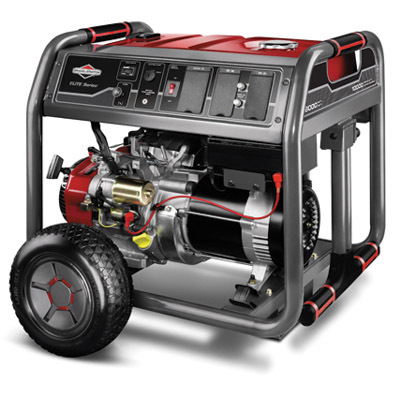 Standard features include long range fuel tank, low oil warning and Battery charging in a heavy duty steel frame. 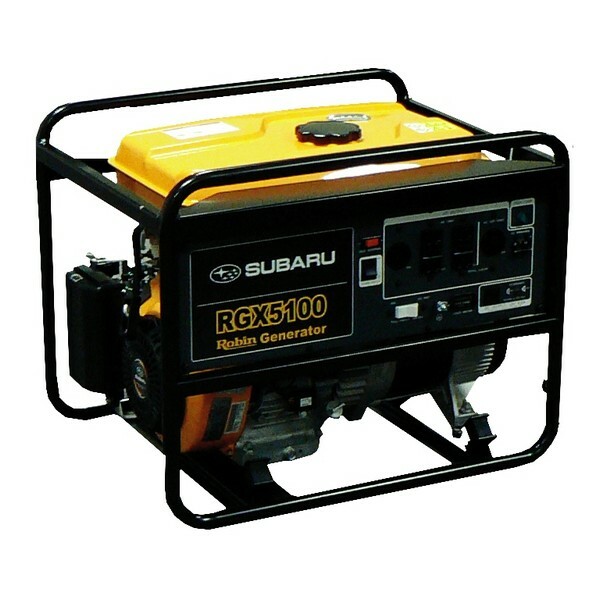 The RGX5100 Petrol generator features AVR(Automotive Volt Regulation) to help prevent fluctuating power and create stable voltage for use in the hire, agricultural, building, construction and mining industries. Standard features include long range fuel tank, low oil warning and Battery charging in a heavy duty steel frame. 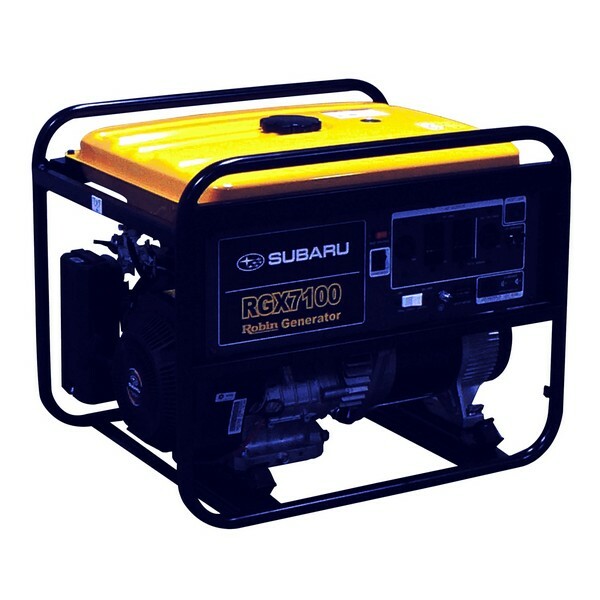 The RGX7100 Petrol generator features AVR(Automotive Volt Regulation) to help prevent fluctuating power and create stable voltage for use in the hire, agricultural, building, construction and mining industries. Standard features include long range fuel tank, low oil warning and Battery charging in a heavy duty steel frame. 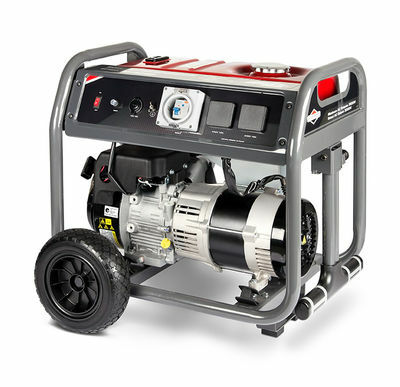 The RGX7800 Petrol generator features AVR(Automotive Volt Regulation) to help prevent fluctuating power and create stable voltage for use in the hire, agricultural, building, construction and mining industries. Standard features include long range fuel tank, low oil warning and Battery charging in a heavy duty steel frame.